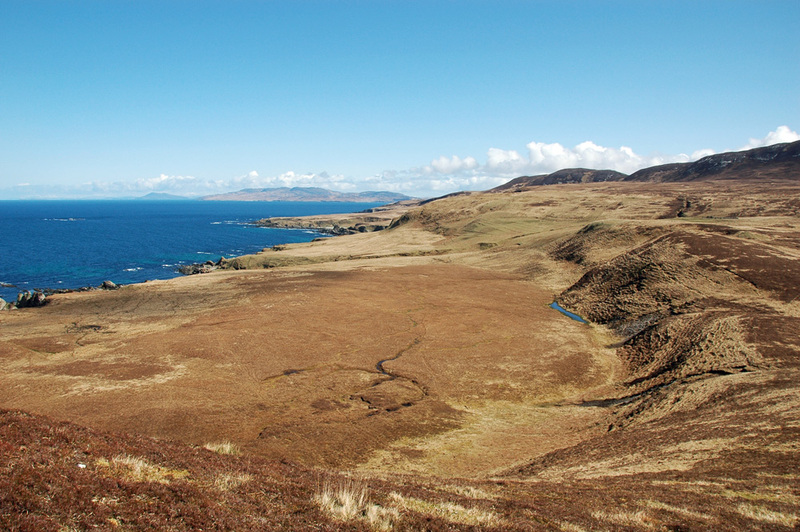 A view of Islay’s remote north coast from the eastern flank of Mala Bholsa (127m). Raised beaches and cliffs stretch out into the distance towards Rhuvaal (Rhuvaal not visible from here). Jura and Scarba in the distance. This entry was posted in Landscape, Repost, Sunny Weather and tagged Islay, Jura, Mala Bholsa, raised beaches, Scarba by Armin Grewe. Bookmark the permalink. Its a long walk out to Mala Bholsa well worth the effort a very special place, great photo Armin.